Our self-serve gourmet deli area is the perfect addition for discriminating palates. Make that special evening perfect or impress your guests with these one-of-a-kind connoisseur offerings. 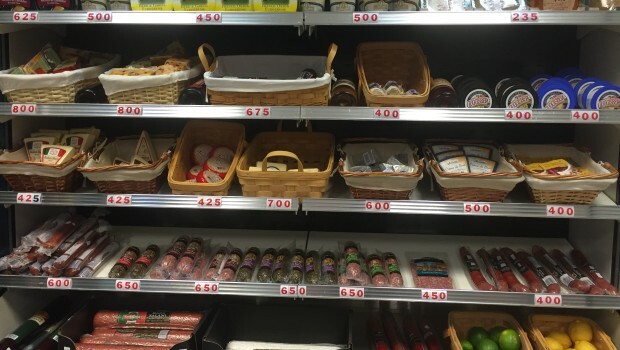 You’ll find a wonderful selection of gourmet food items in our climate-controlled case, including many types sausages and meats, unique cheeses, topinads, specialty crackers and much more.